Depending on the college or university to which you are applying, the phrase “RN to MSN” can mean different things. They are often referred to as “degree completion programs” or “bridge programs” as well. Regardless of the terminology used, at the end of the program applicants will have earned a Master of Science in Nursing degree. Graduates will be prepared for a wide variety of roles including those of advanced practice nurses, nurse executives, clinical educators, and research assistants to name a few. 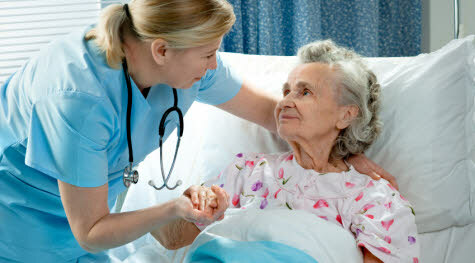 Such programs are are in high demand and fully supported by the American Association of Colleges of Nursing (AACN). Some schools use the phrase “RN to MSN” to refer to a program that accepts licensed Registered Nurses who hold only a diploma or Associate’s degree in nursing and awards an MSN at the end of the program. Other schools will use it to refer to a program that accepts licensed RNs with a non-nursing Bachelor’s degree and awards an MSN at the end of the program. Competition to gain acceptance into these programs is high. Before being accepted you may be required to take prerequisite courses in areas such as English, History, and Math. Depending on the amount of education possessed when you are accepted to such a program, it will typically take at least three years to complete. In some cases, it can take even more time. It should be noted that applicants to some RN to MSN programs may be limited in the number of specializations offered while BSN to MSN students might be offered additional specializations. Some of these programs will not only award an MSN degree upon completion, but will award a BSN along the way as sufficient coursework and clinical hours are completed. Other such programs might only award an MSN degree once the entire program is completed. Below you will find a list of nationally accredited RN to MSN bridge or step programs. The programs are grouped by the state in which the colleges and universities offering the programs reside.